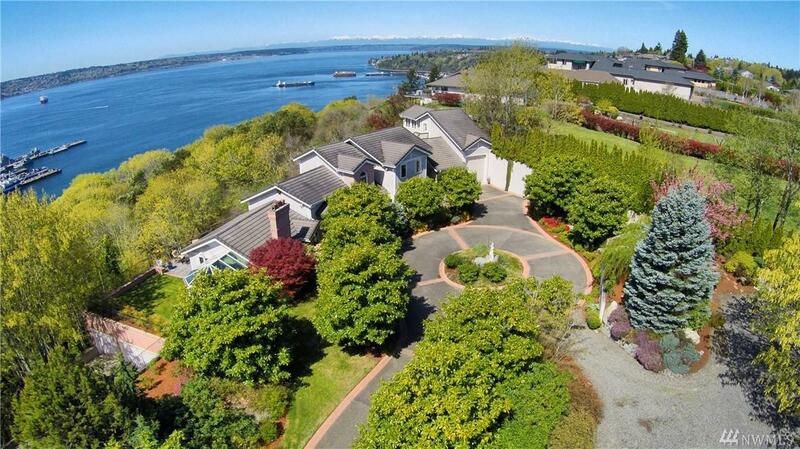 Stunning estate with views from Mt. 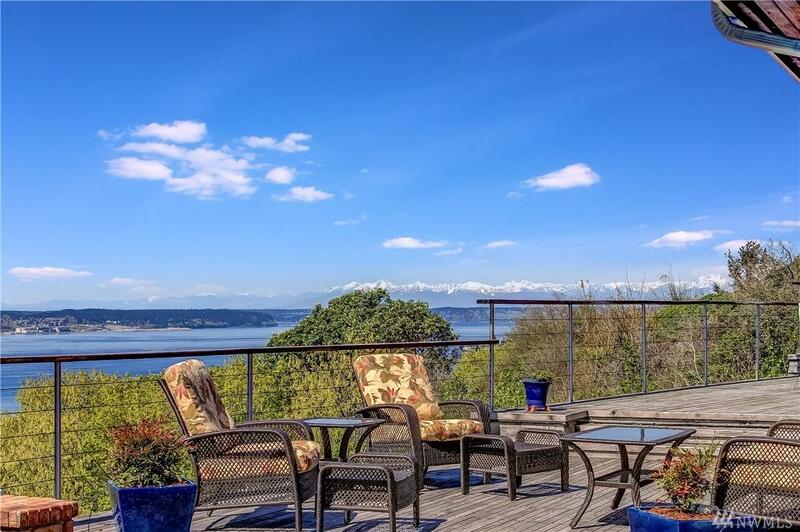 Rainier to the Olympics on nearly 6 private acres high on the bluff of NE Tacoma. 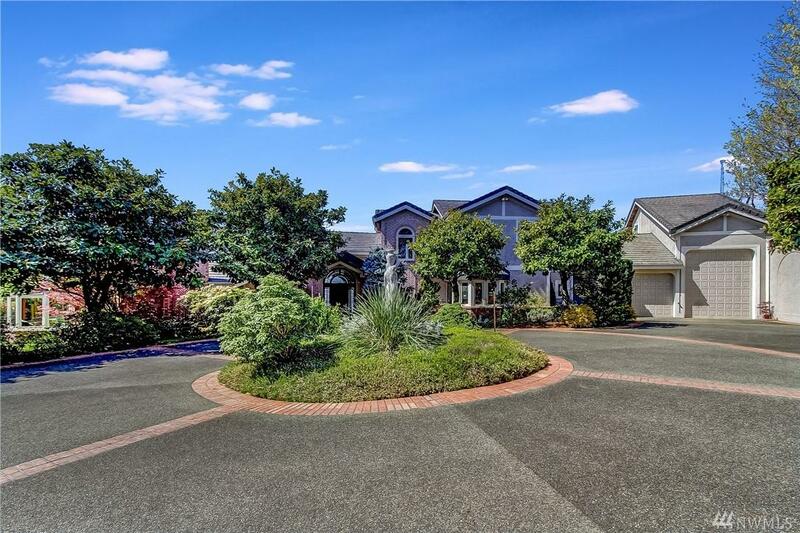 This elegant 4,300 sq ft one owner custom home is built with views from every room, a detached view apartment & garages for 6 vehicles - including one full length RV/boat bay w shop! 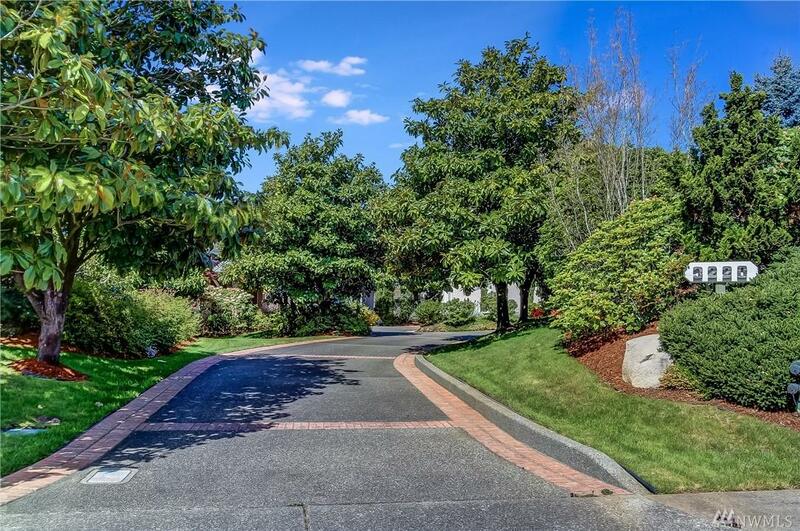 Southern exposure fills the home with natural light, all the bedrooms have ensuite baths, multiple decks to entertain & a solarium by the living room to enjoy the sun all year. A remarkable home!